Bay Mechanical is a Siemens® Solutions Partner. This means we provide custom building automation system solutions that leverage standard and openly available solutions for integration and access to data and the Internet of Things (IoT). The Siemens system leverages the best of standard protocols, such as BACnet, Modbus, OPC, LonTalk, plus IT standards and vendor specific proprietary solutions with the latest technology. We have access to the full line of Siemens® HVAC components including sensors, control valves, variable frequency drives, etc. 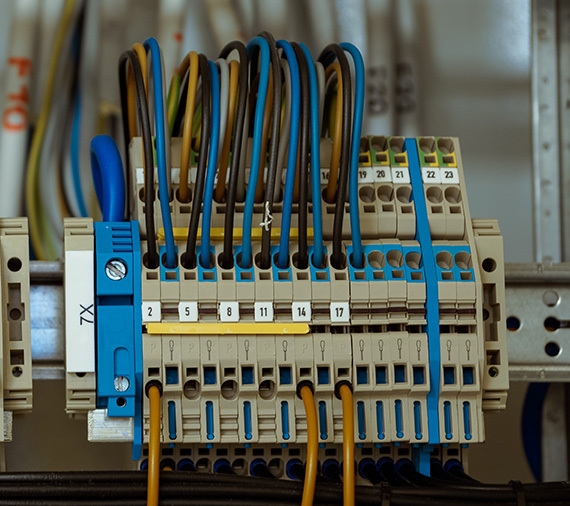 Bay Mechanical provides an extensive range of electrical and controls installation services, including installation of Direct Digital Control Systems, Medical Gas Alarm Systems, Lighting Control Systems, Emergency Power Backup Systems, and many more.